Bram Louwije started gymnastics at age 5. His favourite event is the pommel horse but Bram is also a great all-arounder as he regularly wins medals at National championships, right from his Juniors debut. His first big meet is the European Youth Olympic Festival, in 2011. But it is in 2012 that he had won his first medal at a major championship, a silver on pommel horse at the European Junior Championships in Montpellier. In 2013, he placed 3rd in the all-around at the National Championships, behind Jimmy Verbaeys and Maxime Gentges. He was then selected for the World Championships held in Nanning, China, where team Belgium placed 19th. The year 2015 started quite well for Bram as he won the Provincial title ahead of Jimmy Verbaeys, the then future Belgian Champion. Unfortunately, a hand injury prevented him from competing at this year's Nationals. 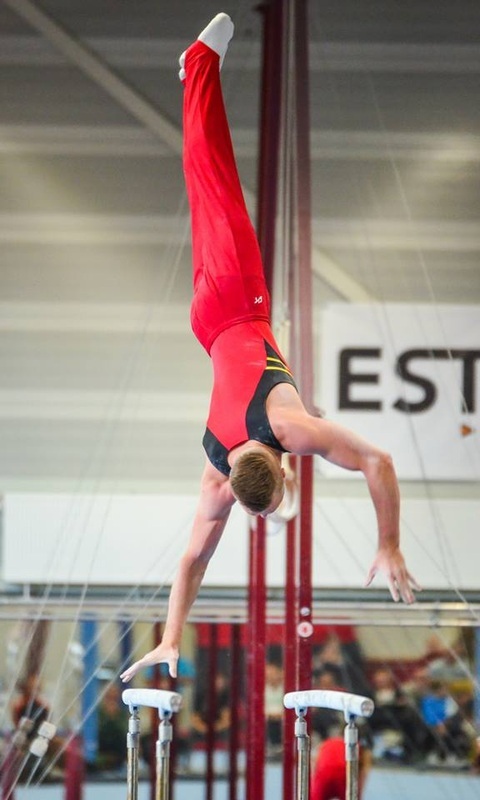 After he missed a spot on the team for the first ever European Games in Baku, Bram will try to qualify for the 2015 World Championships team.